Every customer in Quail Springs OKC has individual needs that are important to us at Mr.Rooter. Our focus of providing quality plumbing service and products combined with honesty has made our plumbers the first choice of many residential and commercial clients worldwide. You can count on us to take care of your plumbing, drain cleaning, and water heater needs. Contact us today to find out more about our Residential Plumbing and Drain Cleaning Services, Commercial Plumbing and Drain Cleaning Services, or the Products offered by our professional plumbers. Mr. Rooter ® Plumbing in Quail Springs OKC understands how important it is to service your commercial plumbing and drainage needs in a timely, courteous and professional manner – whenever you need a plumber! That’s why when you call Mr. Rooter Plumbing you can be sure that you are reaching a commercial plumbing and drainage professional. We have the expertise and experience required to provide you with a comprehensive analysis of your plumbing situation and fix it right the first time. In addition to responding to your emergency plumbing needs in a timely fashion, our plumbers can help you avoid costly plumbing pitfalls. 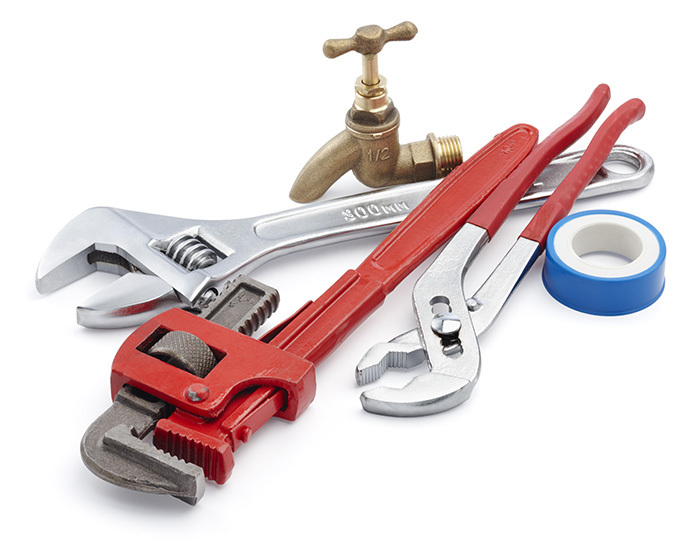 Just give us a call, our plumbers will come to your location and perform a multi-step check-up of all your plumbing system elements, including special attention to high use areas such as kitchen operations and bathroom facilities. Any plumber can tell you that you shouldn’t pour grease down the disposal, wash coffee grounds down the drain, or flush cigarettes down the toilet—but it does happen. Instead of waiting on your pipes to clog up with excess waste and then seeking a solution while water (or worse!) spills onto your floor, the plumbing professionals at Mr. Rooter Plumbing we recommend the use of BioChoiceES® Green Drain Cleaner. BioChoiceES® green drain cleaner is a formula containing living, microbial organisms that eat away at all of the fats, oils, and other wastes that clog up your drains. With regular, simple applications of just two ounces of BioChoiceES®, solid buildup is broken down and flushed away with ease. Each container of BioChoiceES® contains enough vegetative microbes for thirty-two applications. The shelf life of BioChoiceES® is approximately eighteen months and you need only apply one application per drain per month, making BioChoiceES® a sound investment. If a problem occurs for the Quail Springs area in one part of your plumbing, it could be indicative of a larger issue affecting your entire plumbing system. A slow drain could indicate a blocked pipe, a dripping faucet might be a sign of a worn washer, or low amounts of hot water could mean sediment has built up in your water heater. Mr. Rooter®knows these facts, which is why they offer the Mr. Rooter Plumbing Check-Up during any service visit to your home. Mr. Rooter® Plumbing HydroScrub® service is the most effective method known to restore old drain lines to a like-new condition. The HydroScrub clogged drain system restores old drain lines to a like new by using water moving through tiny openings located in nozzles, removing grease and sludge from the line. The combination of the high pressure and water volume provides a cleaning system unattainable by conventional methods. For drain lines with a history of problems, HydroScrub can be used to inject specific amounts of our exclusive Mr. Rooter Plumbing degreaser which actually enhances the cleaning power of the HydroScrubdrain cleaning method. After the initial cleaning, your Mr. Rooter plumber will recommend a periodic maintenance program to help insure an uninterrupted flow. Unlike conventional cable methods, Mr. Rooter Plumbing HydroScrub™ drain cleaning services are designed to prevent future problems. While conventional machines are effective in opening a blockage, they do not clear the line of problems like grease, soap, and sludge. Conventional cable machines push through the line in the path of least resistance, often opening only a small hole. Soft deposits left in the drain line collect pieces of paper or other material, eventually causing another clogged drain. Priority Scheduling: Plumbing emergencies can happen to anyone at any time. Our Mr. Rooter AdvantagePlan™ customers will always be given priority when emergencies arise. Preferential Pricing: As a Mr. Rooter AdvantagePlan™ customer, you will enjoy a special discount from standard pricing, clearly indicated in our Menu Pricing Guide. Periodic Specials: As a loyalty reward to our Mr. Rooter AdvantagePlan™ customers, we send out specials from time to time providing even greater savings and convenience. Personalized Records: For our Mr. Rooter AdvantagePlan™ customers, we maintain records of what we find in our inspection of your plumbing system, which helps you to have greater peace of mind as we diagnose solutions to your plumbing problems. Transferable Agreement: Your Mr. Rooter AdvantagePlan™ agreement is transferable to new owners when you are ready to sell. Merely notify us of the name of the new owners. Multiple Site Coverage: Customers owning additional properties enjoy Mr. Rooter AdvantagePlan™ coverage over all listed sites. At Mr. Rooter® Plumbing in Quail Springs, we want our customers to see the “root” of the problem…no pun intended. Instead of relying on traditional drain line troubleshooting methods, video camera plumbing inspection pin-points the trouble spot and helps visually confirm the cause of the problem. There could be several reasons for continually slow draining pipes and repetitive clogs. Video camera plumbing inspection shows the exact “root” of the problem whether it be root intrusion or crushed, cracked or misaligned pipes. The Mr. Rooter Plumbing video camera inspection service is the most effective method available to locate suspected problem areas within drain lines, so the best solution can be determined. Parts of the Quail Springs area have what is commonly referred to as “hard water,” and people who live in these areas battle the problems that hard water creates. The most common defense against hard water, which is a nuisance but not a health hazard, is to install a home water softener. Water softening involves exchanging calcium and magnesium minerals present in the water – which cause the hardness – with sodium or in some cases, potassium in used. As the water softener processes liters after liters of hard water on a daily basis, the treatment capability of the softener becomes depleted and must be recharged or regenerated. Regenerating the unit uses a large quantity of sodium-rich water – called “brine” – that must be disposed of. In homes with onsite septic systems, this brine flows into the septic tank and eventually makes its way to the system’s drainfield. There are several common pipe problems and Mr. Rooter Plumbing identifies and corrects them. Pipes with root intrusion being cleaned with a cable fitted with a root-cutting blade. Cracked or misaligned pipe with a camera showing its location through a signal. Pipe with belly with a camera showing its location through a signal. Using a camera to inspect the line allows the plumbing experts at Mr. Rooter Plumbing to find out what the problem is and the exact location of that problem. Did you know, 19 out of 20 Hot water heater replacements in Quail Springs OKC are an emergency job. Very few people replace a water heater before they flood out their house and/or garage. We have years of experience in plumbing with hundreds of satisfied customers. No leak is too large for us to stop. Unwanted water damage can cost you time and money. You wouldn’t wait until you get sick to find a doctor, so don’t wait until you have a leak to find us. We install, repair, and teach you how to understand and get the best use from your water heater.